Dental fillings and dental sealants are part of our general dentistry practice, and are very common procedures. As a family dentist, Dr. Eastburn sees a lot of children as patients. Children are by far the most likely patients to get cavities, and thus need dental fillings. The American Dental Association also recommends dental sealants for children in order to prevent cavities on their chewing teeth from occurring in the first place. 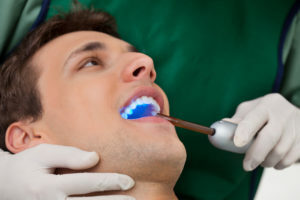 Dental fillings are most commonly done to fill a cavity, but can also be placed to repair a cracked tooth or replace an old filling that has fallen out. Fillings are either gray (amalgam) or tooth colored (composite). You will receive a topical anesthetic before the dentist begins the procedure to remove tooth decay and prepare your tooth for the filling. Your best bet to avoid cavities and the need for dental fillings is to practice good oral hygiene, and to visit the dentist for regular teeth cleanings. Dental sealants are a thin, plastic coating that is painted on the chewing surface of teeth – usually the molars and premolars. The sealant bonds into the cracks and crevices of the tooth’s surface, creating a shield that protects the tooth from cavities. According to the American Dental Association, sealants have been show to reduce the risk of tooth decay by 80% in molars. The earlier a child gets sealants on their premolars and molars, the better. Sealants are generally applied around age 6, and again around age 12. Getting sealants is painless, and there are no side effects. Many dental insurance plans cover the full cost of sealants, as they have been proven so successful in reducing cavities. As always, check with your insurance plan to see what’s covered.